The Diamond Model structures territorial factors of relevance to Interaction Design into five segments with objective and subjective facets. The initial structure and content was derived iteratively on the basis of a literature survey. Three field studies were then used to populate the model with Jordanian instances of cultural and other territorial variables, and to add new variables to the model. 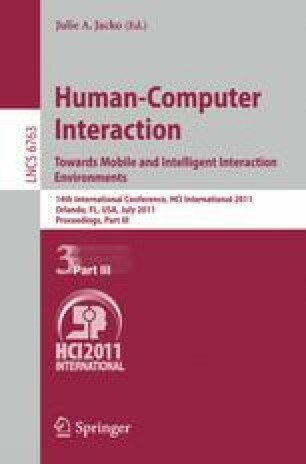 The model can act as design resource that combines concerns from HCI4D (HCI for Development) with cultural variables that extend beyond the acceptability and suitability of user interface elements. The derivation and evolution of a Jordanian instance of the model is presented, with brief suggestions on how it could be used by software development teams.